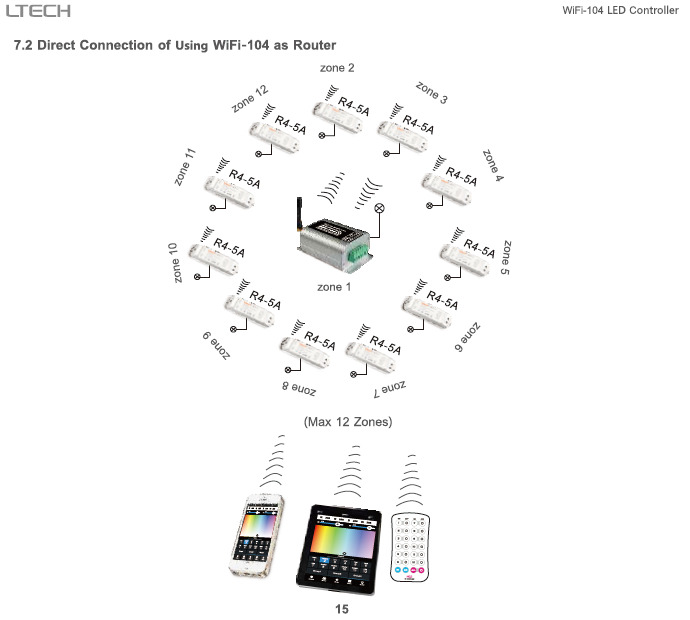 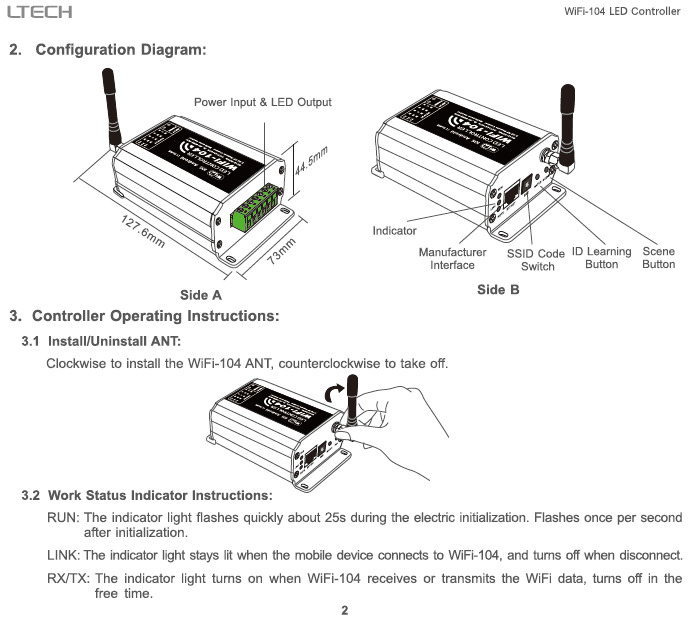 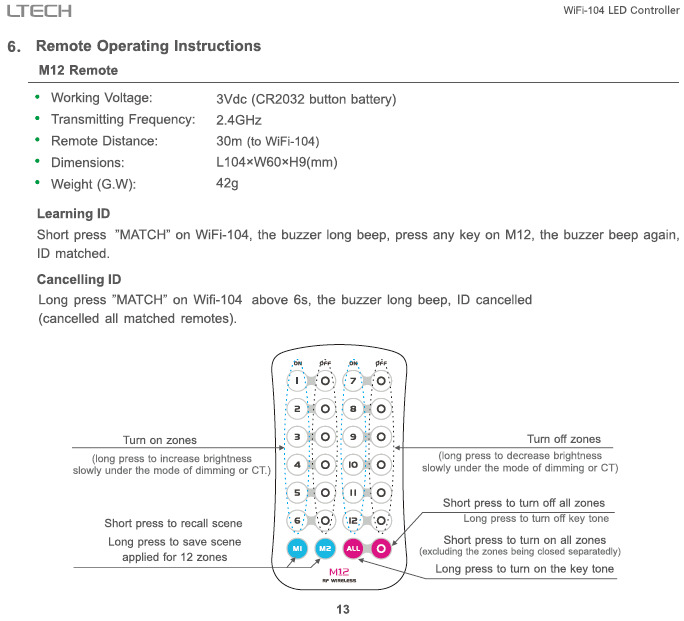 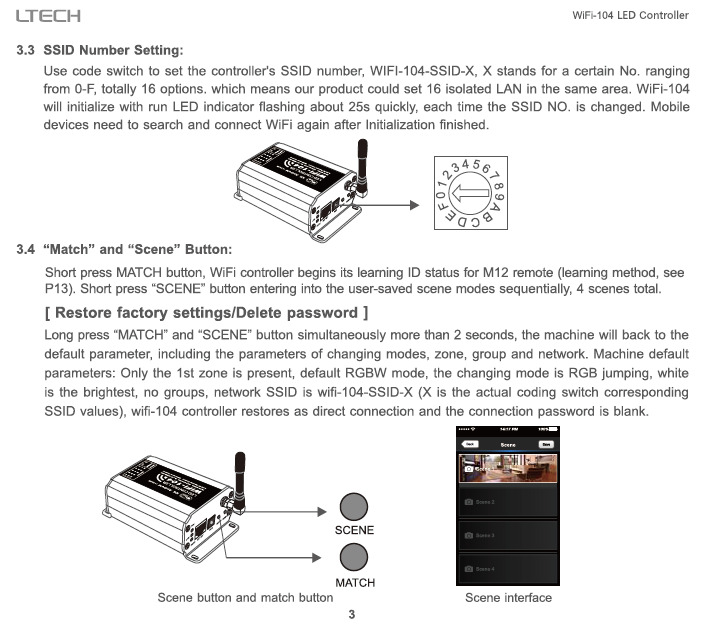 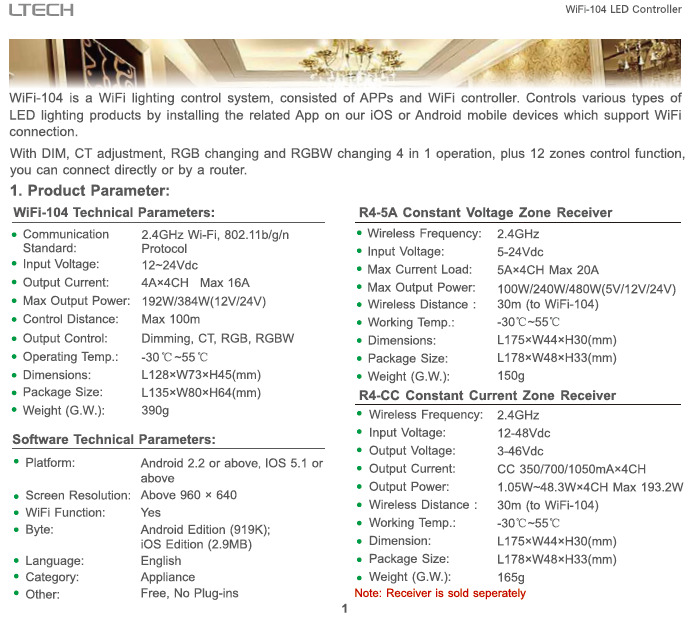 WiFi-104 is a versatile office/home lighting control system. 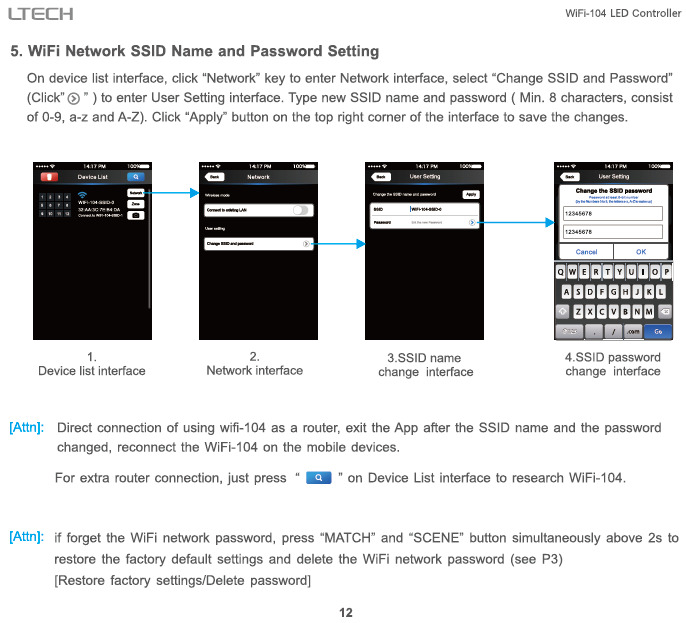 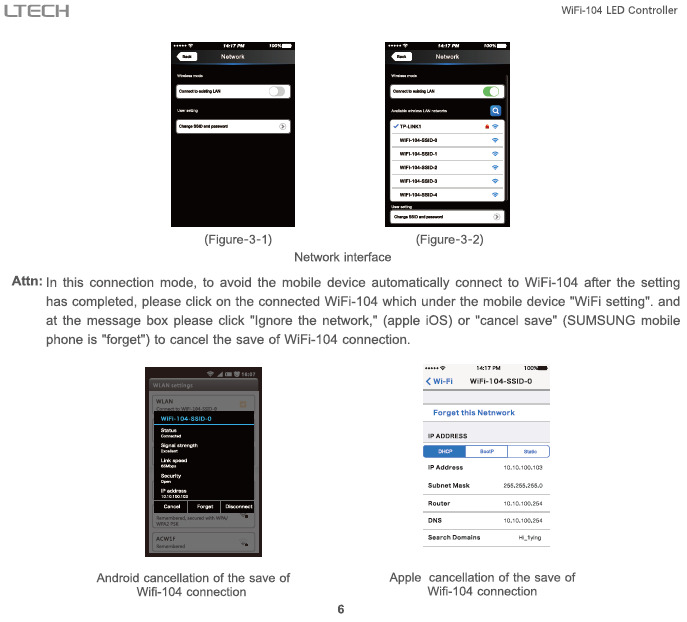 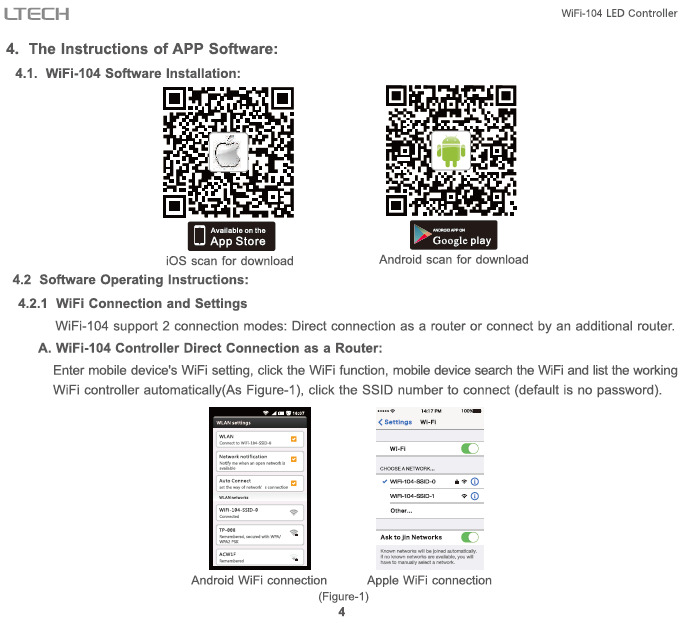 Through WiFi function build-in mobile devices could control various types of LED lighting products after installing related software on our ios or Android phones, tablet PCs and other mobile devices. 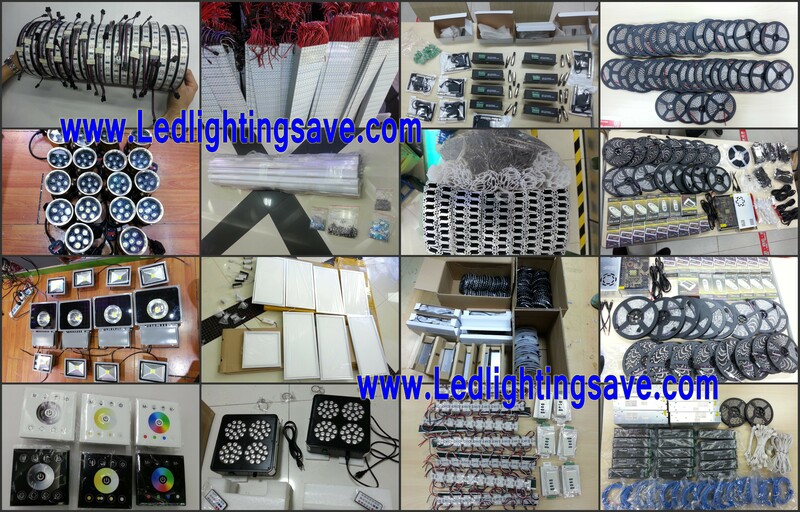 It makes the led lighting control more intelligence, networking and humanization. 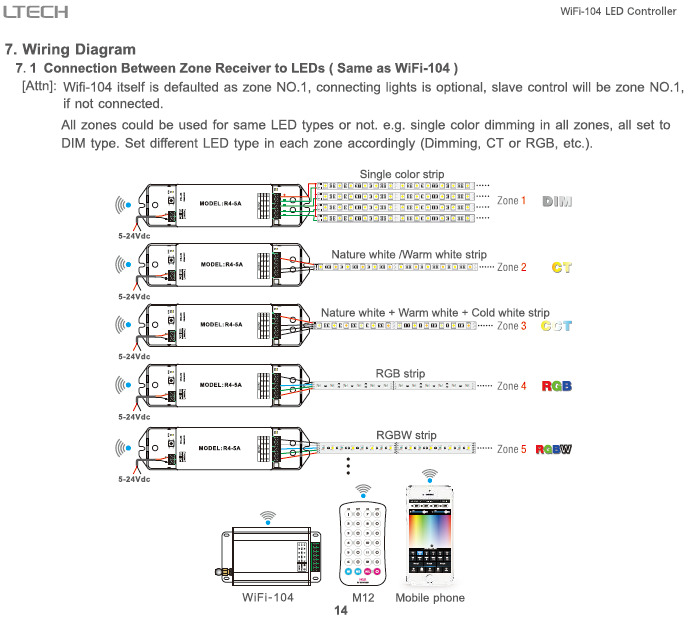 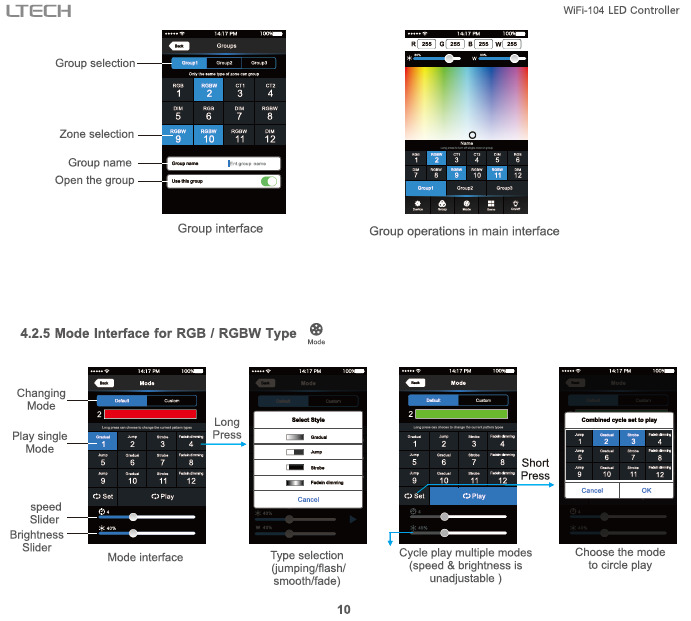 WiFi-104 lighting control system integrated with four functional controls including dimming, color temperature adjusting, RGB and RGBW, which could be set as single color, color temperature(nature white+warm white and nature white+warm white+cool white), RGB and RGBW five types. 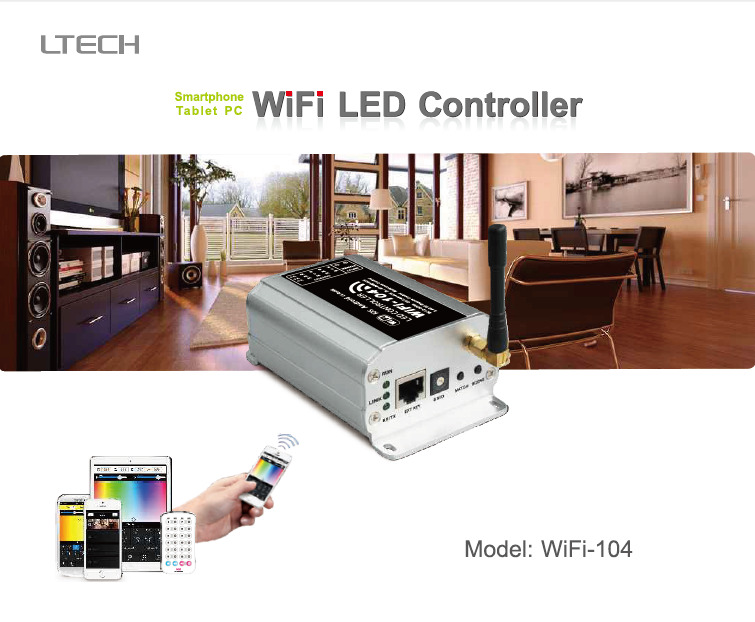 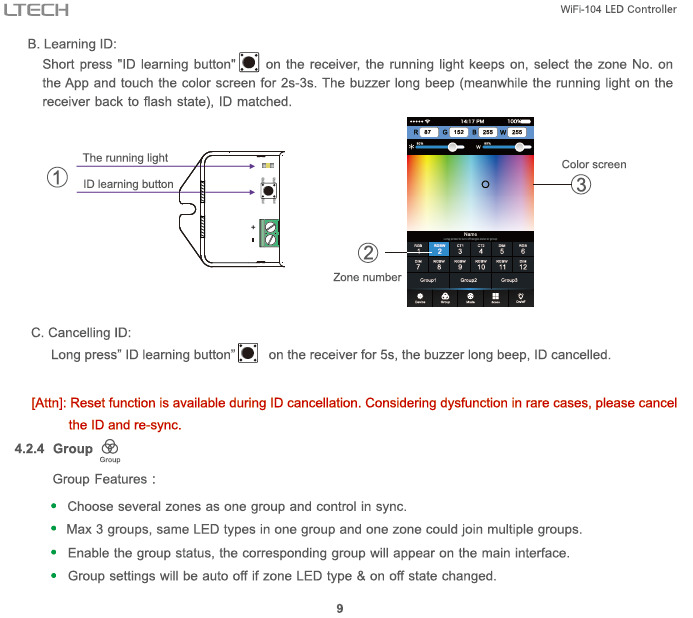 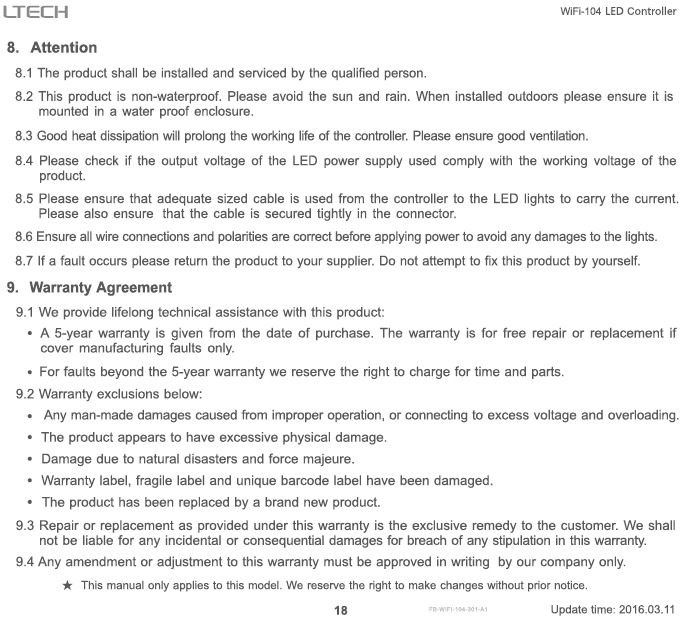 It can simply control various of led lightings which has installed on WiFi software. 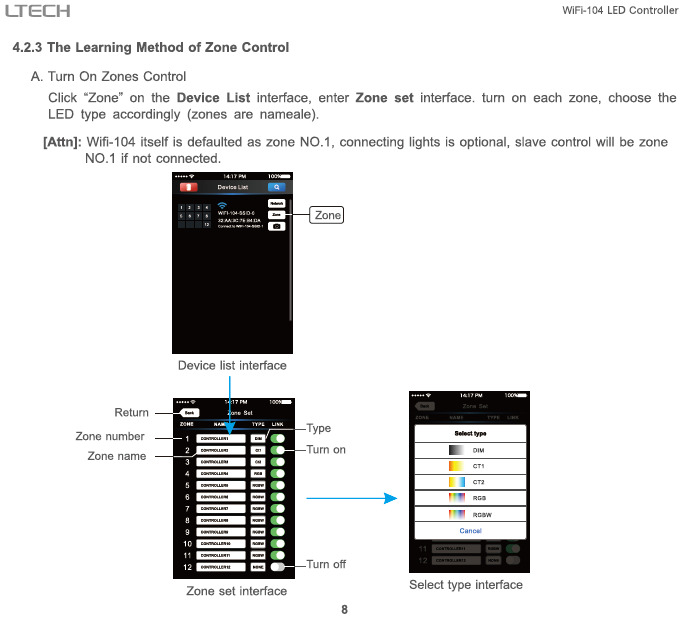 Meanwhile, it supports max 12 zones control. 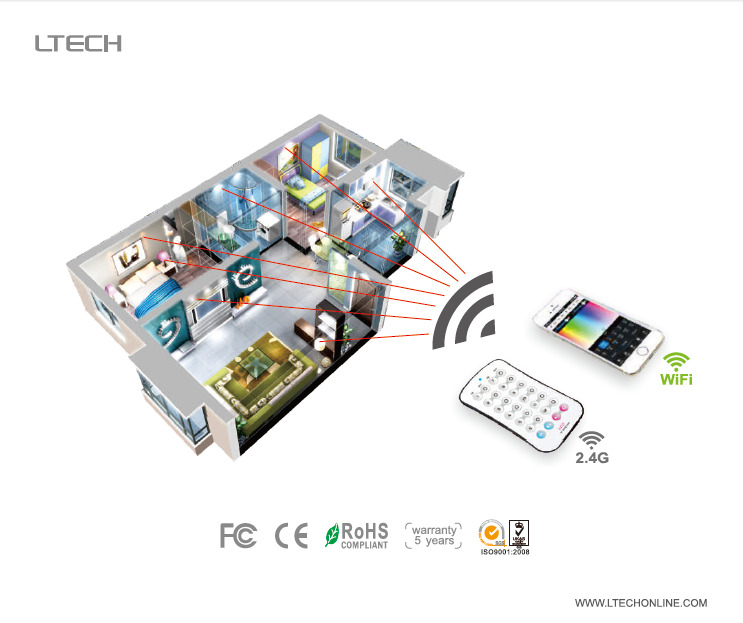 We could do for you what you think! 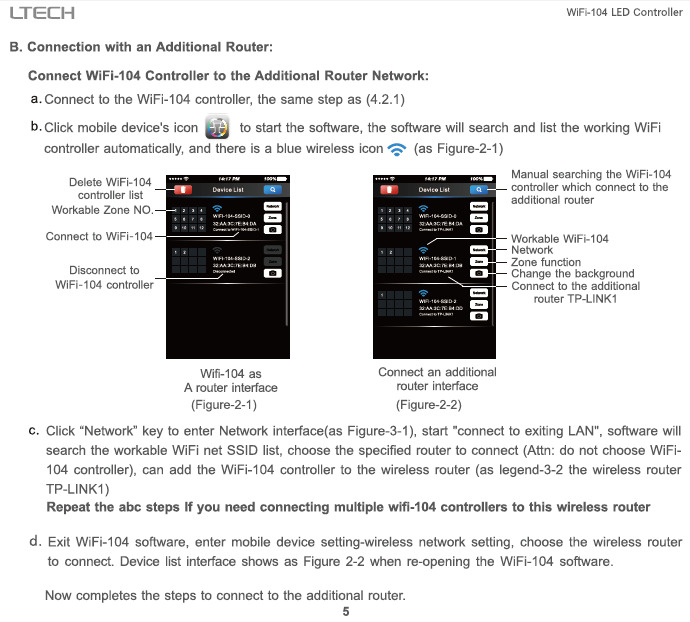 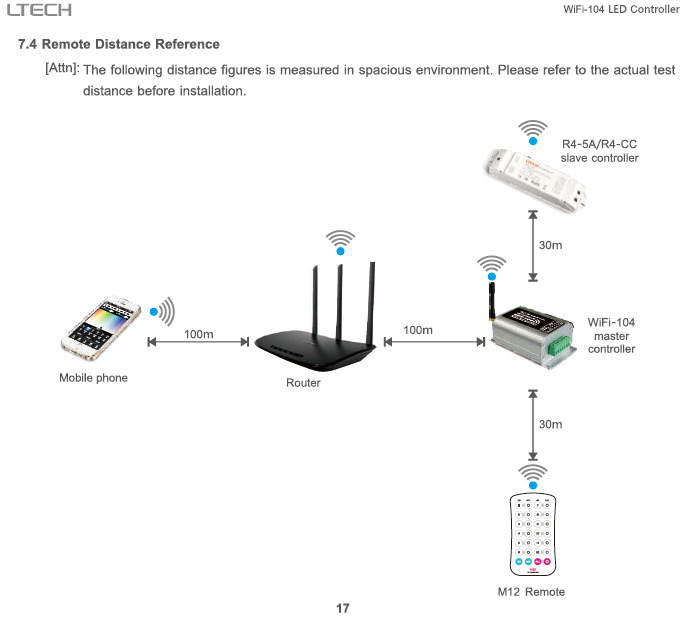 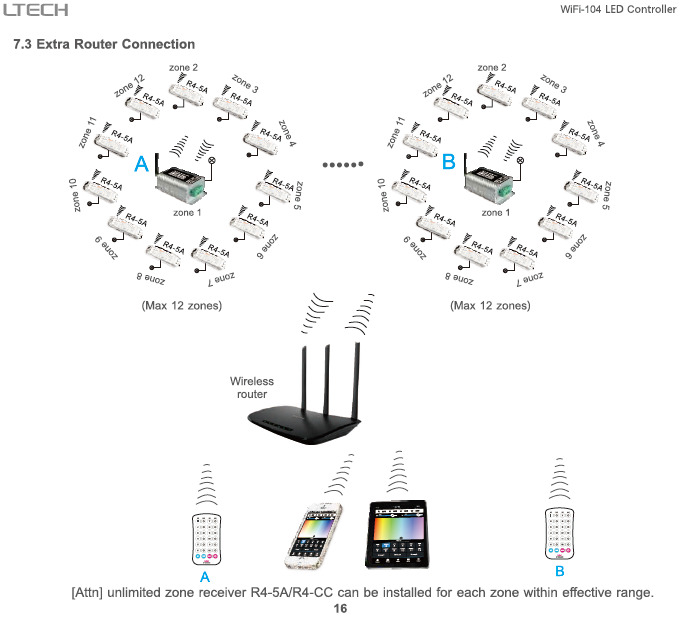 Through a router connection, in addition to reach all the functions of direct connection, and will not affect the normal Internet access router at the same time, a more important role is to support the software interface to switch muti-control systems, control independent of each other systems more convenient , for example, there are two sets of systems, can support 24 areas. 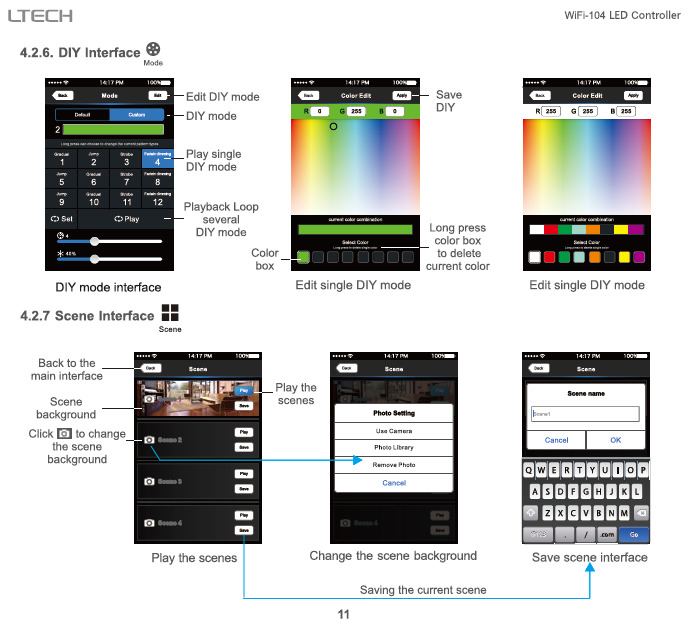 In addition, you can DIY the lighting on software according to your habits. 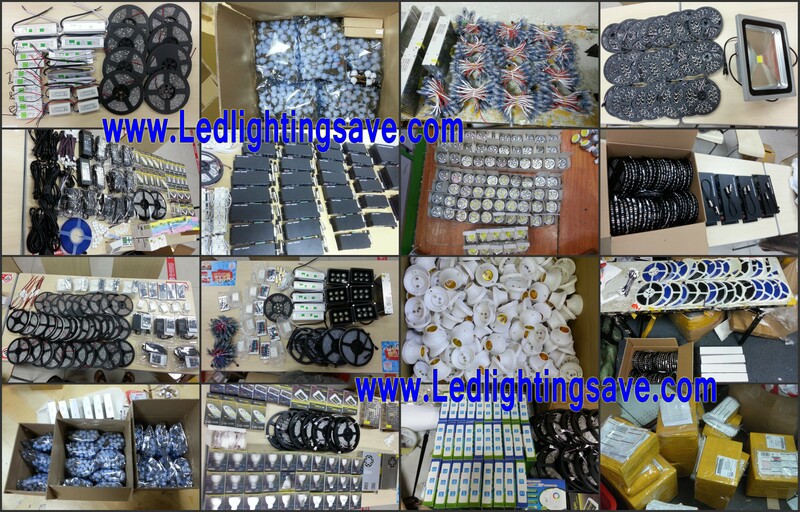 You can DIY any color, any changing you like. 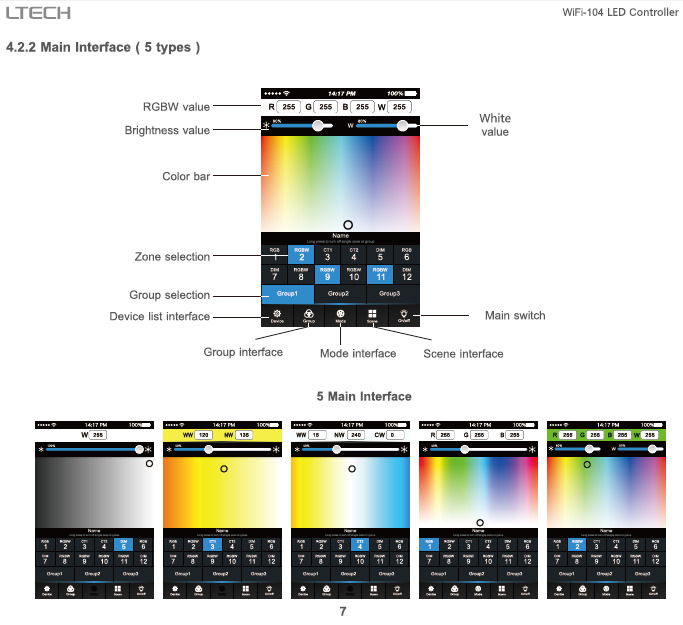 It will let yourself relish in your sense of accomplishment for your special life colour. 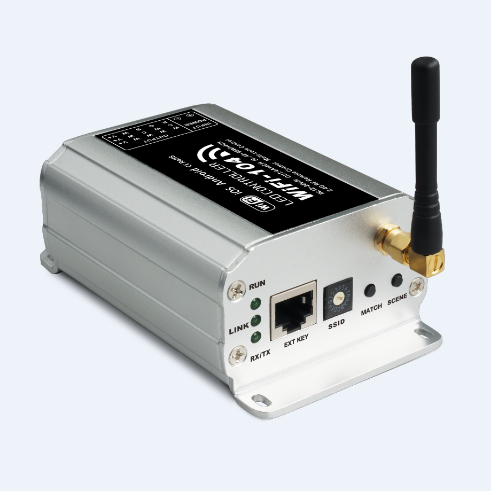 You can also use our 2.4G RF remote M12 if there is no software, more options for you.